In medium bowl, combine all ingredients except bread; mix well. Spread mixture on 4 slices of bread. Top with remaining bread slices. To reduce the fat in each sandwich by about 11 grams, use nonfat plain yogurt and fat-free mayonnaise in place of the regular products. 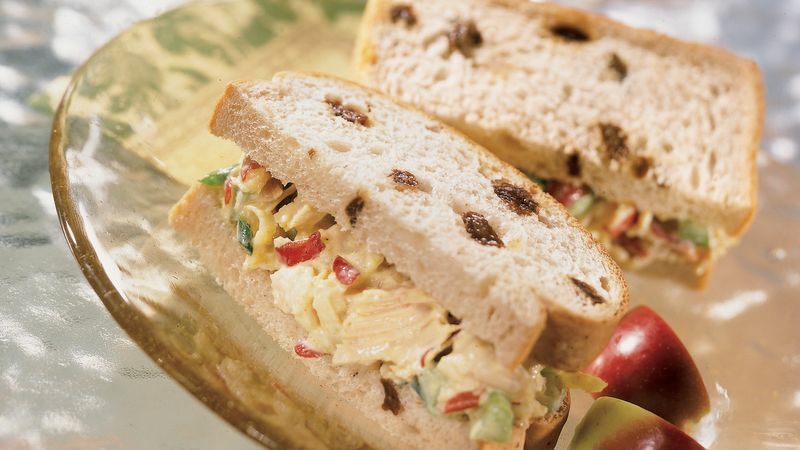 This light version of the sandwich contains about 90 fewer calories than the original recipe. Make the filling, except for adding the apple, up to one day ahead. Shred and stir in the apple just before you assemble the sandwiches.